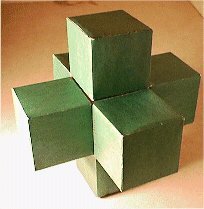 It is a three-piece coordinate-motion puzzle. To assemble it you have to place all three pieces in there outmost positions. This is another variation of a fake three piece burr. 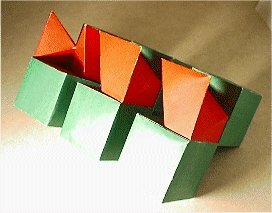 It consists of three angled parts. Two of them are identical and the third one is slightly different.